The current wave of Islamic terrorism sends the message that a few numbers of conspirators have hijacked Islam into their hands on false pretext. Jordan had realized the dangers of Islamic terrorism and signaled that the burden is on the moderate Islamists to step up and rescue their faith from these fanatics who are all out to destroy humanity. This is not hate propaganda. What is required is that moderate Islamists have to step up their campaign against the extremists and compel them to realize how other communities value their freedom, instead of continuing with a long history of intolerance and violence. Religion as a personal and secondary matter. It will not be a convincing argument to arm the moderate Islamists. That will only lead to re-group the Islamic Terrorist Organizations. The versions ‘whosoever join the crusade against Islam, will be protected from hellfire and enjoy eternal bliss’ in the Quran appears to be utilized by the Islamic terrorists to hijack Islam, and are instrumental to give Islam the status of ‘cult’. It is these versions which have attracted by the Islamist youths in response to their religious culture for purpose of advancing their welfare. The Islamist extremists for a moment ignored ‘humility and tolerance’ and give priority to the concept of violence when a literal interpretation of that specific version is given. At this juncture the Islamist extremists should also not forget that Jesus Christ, who is considered as the Messenger of God and also from the Middle-East, insisted on co-existence with other faiths and preached humility and tolerance to the entire world. According to Search for International Terrorists Entities (SITE) the leader of Arabian Peninsula Nasser bin Ali al Ansari had recommended lone-wolf sympathizers to launch severe attacks on countries like US, Canada, UK and France. He continues to state that the Ummah was clarified to state that the “one who chose the target, laid the plan, financed the operation and appointed its amir, is the leadership of the Organization. We did it in compliance with the command of Allah and supporting the Messenger of Peace ….” This can be viewed in the YouTube. The driving force of such recommendations only signals the thrill of violence that arise from inflicting pain on others. These Islamist extremists failed to behave as humans. The issue whether moderate Islamists are ignorant of the consequences of this barbaric actions becomes complex, when such recommendations are an obstacle for any moderate Islamists to raise the issue of ‘humility & tolerance’. There is nothing wrong if any Islamic immigrant is prosecuted for treason if he or she joins the Terrorist Organization after listening to such sermon. Such a savage ideology will only provide solace to persons of low spirit. Recent beheading of Japanese in addition to the beheading of women, stoning to death of women, immolation of Jordanian pilot, bombing of public places including mosques, etc, which have become a part of life in a number of Islamic States, only sends the message that Islamic terrorists behave like a bunch of psychotic war criminals. However, Turkey & Jordan have become vigilant on apprehending the atrocities of these Islamic terrorists. They are a peaceful Islamic community who believe in co-existence with others. Had the Islamic religious leaders taught humility and tolerance, the Islamic extremists would have respected femininity and respect for motherhood. When punishments such as beheading, stoning to death and honor killing are executed, the Islamic extremists failed to realize that it is the hands of those women (or girls who later become mothers) tend to be gentle on which even these Islamic extremists including the executioners slept soundly on them. The Islamic extremists failed to realize that we have taken birth on this earth to realize the mother’s pure and unconditional love. Paramhamsa Yogananda stated that all mothers are meant to be the unconditional manifestation of God’s love and further said every woman would radiate a Divine Mother’s love. The mother’s love is divine and realization of which is holy. The first introduction to the world and to all comes through the mother. The manner of punishment inflicted on women only sends the message of enslaving the mothers’ community. One ponders whether teaching of Islam permits the Islamist terrorists to hold severed head of a woman which is painful to watch and engaged in the destruction of humanity? However, it is unfortunate that the aforesaid evil version of Qu’ran has overshadowed the tenderness of a mother’s arm and of the mother’s love in brain washing the Jihadist woman, Sajida al-Rishawi, (the would-be suicide bomber) who was instrumental (triple hotel bombing) for the killing about 60 innocent people. She failed to guard herself against being conquered by her emotion, resulting from being brain-washed by the Islamic extremists. Even Mahatma Gandhi stated humanity is one undivided and indivisible family which the Islamic terrorists failed to realize diversity. Diversity means respect for and appreciation of differences along the lines of dimensions of race, ethnicity, religion, gender, religious beliefs, political ideologies, etc. Islamist extremists rely on theocracy rather than democracy. In a multi-racial country democracy is built on the principles of unity in diversity. Islamic religious leaders are under a moral obligation to give a correct interpretation of the ideology in compliance of the freedom and democracy stressing on the significance of co-existence with people of other faiths. The irony is that the law-abiding Islamic community lives happily almost in all the democratic countries in the West, but not in the Islamic countries. But recent incidents of bombing, beheading, stoning to death, burning alive, etc, demonstrates that Islam is gradually reducing itself to the most violent, intolerant and supermacist interpretation of their faith. They are reluctant to wage a war on the army, but they will hide and attack or kill a lonely soldier or when they are not in uniform in a calculated and systematic manner. What is required is a reformation in Islam to discourage such savage and reprehensible actions to establish that Islam is a religion of peace. Such barbarous actions led to the impression whether Islam promotes an association of future active fighters to continue with their motive of destruction of humanity since their invasion towards Iran with the mass persecution of innocent Zoroastrians, which was evident when foreign Islamic youths joined the ISIS. Even the LTTE met its fate because of savage & reprehensible actions. Savage and reprehensible actions by Islamic terrorists should not be instrumental for all democratic countries to form a coalition to destroy countries that promote Islamic terrorism or even arming Islamic extremists in developing countries practicing pluralism. There is a limit for the heinous killings of innocent civilians by the rampaging Islamists. History has shown when the ship Lusitania was sunk First World War broke. Likewise when Hitler and Mussolini were instrumental for Second World War and the attack on Pearl Harbour prompted America to drop Atom Bombs which saw an unimaginable destruction. If the Islamic terrorists forget these lessons there can be the turn of events leading to their own destruction. Islamist terrorists are not waging a battle against an army, but targeting the civilians and disrupting the democratic structure. Islamic politicians who call for such introduction of Sharia Laws should be forthwith handed to International War Crimes Tribunal. The call for a Muslim Administrative Unit by Rauff Hakeem sends the message of annoying India, because it would have shattered the purpose of monitoring the activities of the Islamic terrorists as well as the administration in allowing the Provinces to share power with the Centre (it would be a barrier to solve the racial problem and mark the beginning of the absence of rule of law, corruption, and political instability, like Pakistan which is a failed State. Instead it would pave way for the gradual emergence of Sharia Laws at a time when the declaration of Al-Baghdadi, the self-proclaimed Caliph, to extend the size of Islamic State which will pose a potent threat to all democratic countries. Such a Muslim Administrative Unit is suspected to be a place for the beginning of radical Islam and will tend to accommodate lone-wolf sympathizers (like in the case of Charlie Hebdo) to launch attack on foreign leaders in Sri Lanka. The presence of some Pakistanis masquerading in the Kathankudy region lends some suspicion. Hence a necessity to monitor the activities of these terrorists & their supporters and checkmate their vicious mission have become a must. The issue for India as a signatory of the Indo-Sri Lanka Peace Accord is to monitor whether the political parties are willing to administer on the lines of democratic tenets in the Eastern Province, ignoring radicalism. Otherwise the presence of the IPKF becomes a necessity to implement the 13th Amendment after a long period of 25 years. Moreover, the sequence of developments commencing from the issue of number of National Identity Cards by a Deputy-Registrar of Persons belonging to an Islamic community have been of serious concern. Such an exercise, which will enable the Islamic terrorist activities and helps them to hide from their legal identification as well as to escape from conviction can be considered as a great facility for the Islamic terrorists. The issue of facilitating with such false Identity Cards can be suspected to be a logistical support for the Islamic terrorists. 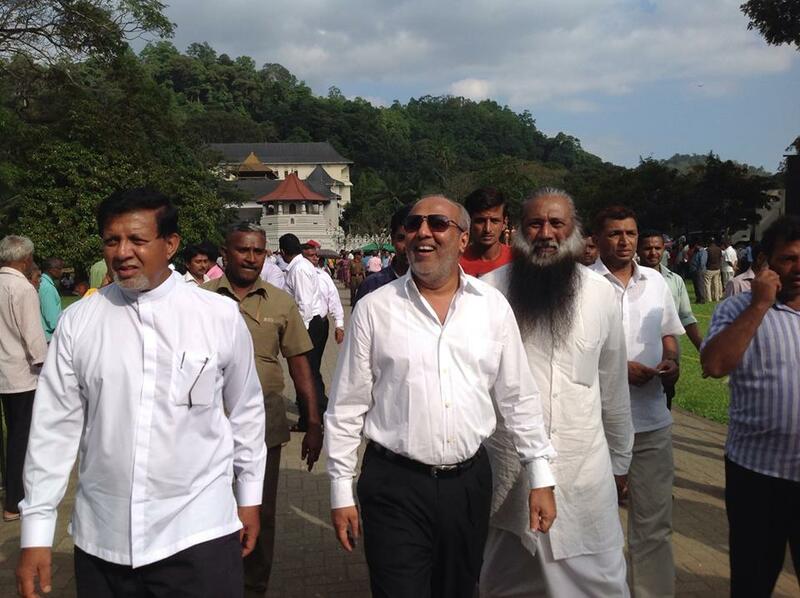 In such an event, it cannot be ruled out that the Western interests would not be targeted by undesirable elements who visit on the pretext of engineers or officers to check the building or other structures because of these scrupulous Islamic officers, especially when the Islamic Terrorist Organizations both in Pakistan and Bangladesh have links with the Sri Lanka Islamic community. Pakistan has been a breeding ground for Islamic terrorism where enforced disappearances of journalists, singers, teachers, and lawyers had taken place in Balochistan. The mansion where Osama bin Laden resided close to the Pakistan Military Academy implies that State terrorism is unleashed to promote religious extremism in Balochistan. The case of Sri Lankan Islamist, Zakir Hussain who was trained by a Pakistani diplomat as well as in charge of ISI activities in India, is a case in point. Zakir Hussain revealed of recruiting people for terrorist activities during interrogation. Meanwhile arms & ammunitions had been transported to Eastern Province during the period of Minister Ashroff. Even the incident of throwing stones at the Mannar Magistrate’s Court by the supporters of Rishard Bathiudeen signals the denial of co-existence. It is unfortunate that they have failed to realize that the 13th Amendment leaves room for humility and tolerance by way of sharing powers with others, signalling co-existence and not to promote destructive actions. These are some of the challenges posed by Islamic terrorism for a prosperous Sri Lanka. Corruption leads to violence and gives birth to terrorism, because terrorists rely on corruption and violence for evil purposes. The consequences of corruption & terrorism is due to poor governance, political instability, lack of respect for the educated and elders, poverty, etc. If there is political instability especially in a multi-racial country, corruption and terrorism tend to rear its ugly head. The target of the terrorists are aimed at disestablishing the infra-structure projects, bridges, highways, office buildings and public places, de-railing the trains, places of worship, etc, resulting from the indirect interference of some Islamic politicians, thus affecting the development of the country. This is what happened when a Tamil Engineer (a government servant) was attacked by a group of supporters of Minister Rishard Bathiudeen, because he was carrying out his duties in the construction of a Highway with engineering perfection in the best interests of the country, after ignoring the Minister’s instruction and denied evil commission which could be suspected to be utilized for unlawful activities. As Sri Lanka is not well equipped to tackle terrorism like India, the 13th Amendment stands as a checkmate to neutralize terrorism with open economy, decentralization and transparency by which unscrupulous politicians can be checked. When these incidents are encouraging news for the Islamic terrorists, the burden is on President Maithiripala Sirisena to implement the 13th Amendment and assure India that no harm will be caused. Having such incidents in mind, it is always wise to have a small cabinet consisting of not more than 15 Ministers. Even the developed Nations such as UK with a population of about 64.1 million has only 22 Ministers and Canada with the population of about 35 million has 39 Ministers. Both are developed countries and give aid to developing countries. But Sri Lanka, as a developing country with about 20 million, receiving aid from the developed countries, has a cabinet of not less than 27 Ministers. 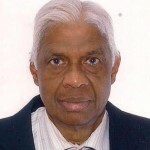 When politicians demand for portfolios, it signals the creeping of undesirous elements leading to corruption which is likely to promote terrorism and are barriers to a united Sri Lanka. 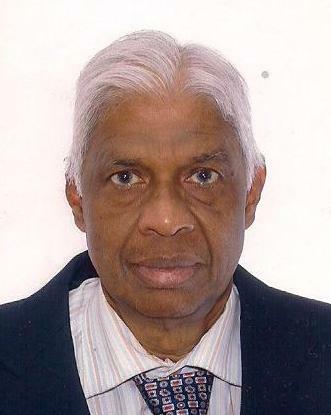 Having experience of the threat of terrorism from Pakistan, Indian diplomat G.Parthasarathy has drawn the Indo-Sri Lanka Peace Accord with far-sightedness to neutralize terrorism and was instrumental for the passing of the 13th Amendment. « Is Modi A Role Model For Sri Lankan President Sirisena?